Did you know that indoor air can actually be more polluted than outdoor air? We spend about 90% of our time indoors, and we generally assume that the air we breathe inside is clean. But in reality, indoor air quality in buildings is often less than optimal. The negative health effects of formaldehyde can range from mild to more severe, depending on the level of exposure. Nasal and eye irritation, neurological effects, and increased risk of asthma and/or allergy have been observed in people who breathe in low levels of formaldehyde. Eczema and changes in lung function have been observed in people who breathe in formaldehyde at slightly higher levels. The Department of Health and Human Services (DHHS) has also determined that formaldehyde causes cancer in humans. When many people think of sustainable buildings, the first thing that comes to mind is “green building,” using techniques and materials that are environmentally friendly. There’s no doubt that environmental performance has a lot to do with sustainability, but Sustainability doesn’t only relate to the environment—it is also deeply related to human health and wellbeing. The buildings where people work and spend time contribute significantly to their overall health, and that includes the quality of the indoor air they breathe. The drywall manufacturing company CertainTeed has found a way to create drywall that actively cleans the air. Their first-of-its-kind gypsum board product, called AirRenew, helps take formaldehyde out of the air—and keep it out. 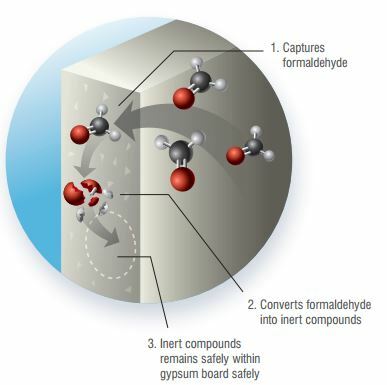 Using proprietary technology, AirRenew gypsum board captures and transforms formaldehyde into inert compounds, and never re-emits them into the air. The AirRenew family of products are the only gypsum boards that actively absorb airborne formaldehyde, improving indoor air quality over the long term. The effectiveness of the AirRenew technology has been proven by tests conducted in accordance with ISO 16000-23, and validated by ULE. In addition to actively cleaning the air, AirRenew products are just as easy to work with as conventional drywall. Every building should be safe and healthy, regardless of the application. CertainTeed has developed several variations in their AirRenew family of products that meet the challenges of any application, from general commercial spaces to high-impact places like airports and classrooms. AirRenew Essential – Cost effective indoor air quality solution, ideal for projects where mold and moisture resistance is not required. AirRenew M2Tech – Cleans the air by reducing formaldehyde circulating indoors. Plus it has superior M2Tech® technology, providing enhanced moisture and mold resistance. 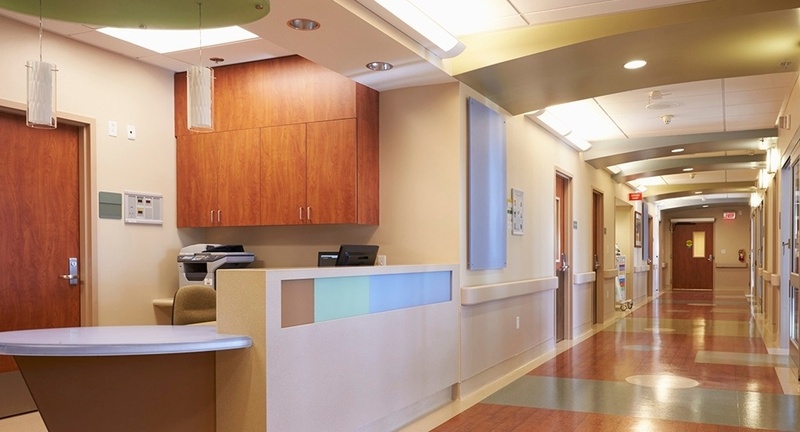 AirRenew Extreme Abuse – Increased protection and durability required for abuse prone areas that are subjected to repeated wear and tear, such as classrooms, hotels, patient rooms and public buildings. Designed to withstand surface abrasion, indentation, and soft body impact. Sustainable building projects take effort and commitment at every level, from design to construction to operations. A commitment to green building begins with selecting the right materials—materials that support the goals for aesthetics, safety, durability, and building health. Choosing to actively clean the air of formaldehyde and other harmful compounds is one small—but effective—step toward a whole-building approach to sustainability. To learn more about the CertainTeed family of products, contact Trowel Trades Supply today.